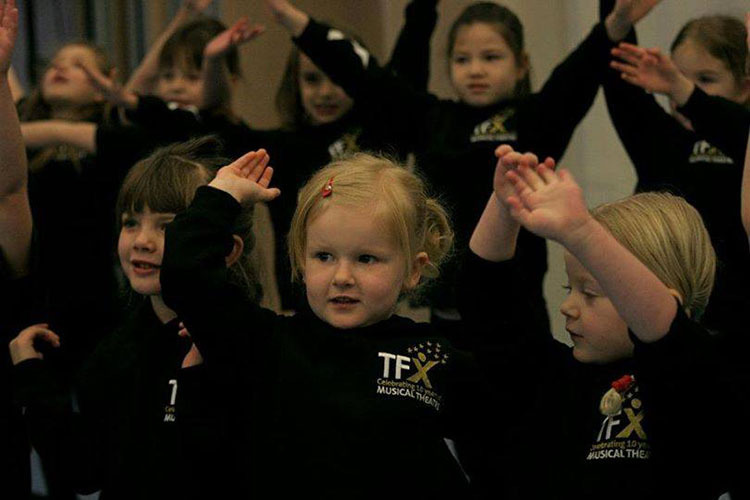 The DinkyFX classes are suited to children ages 3 & 4 years. Students tuition is a fun way to learn to dance, act and sing. This class is also a natural stepping stone into our Mini Musical Theatre classes (especially for 5 & 6 year olds) Dinky’s do their very own show in the Empire Theatre at Eden Court. DinkyFX and DinkyToo are essentially the same in content – we offer 2 classes because of it’s popularity. Each dinky class lasts for 45 minutes and includes Singing, Dance and Drama. Theses enjoyable sessions are the perfect introduction with no pressure to perform just lots of encouragement, smiles and fun.